Prague, the capital of Czech Republic is one of the most popular cities to visit in Europe. But it seems that the rest of Czechia doesn’t get that much attention. At least that’s what we experienced on our trip to Moravia last summer. 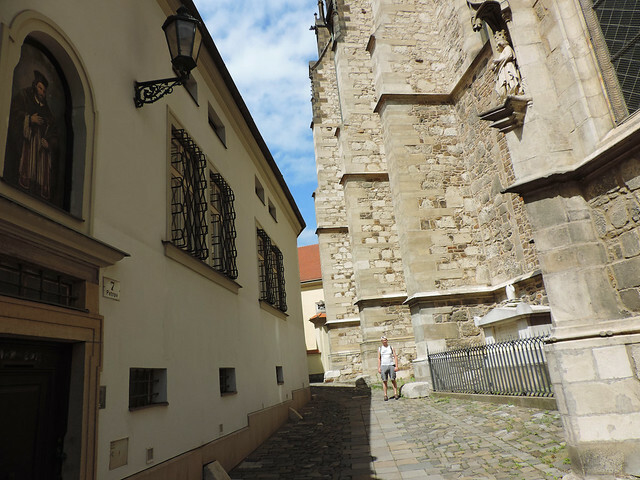 We were surrounded mostly by Czech people as we explored the pretty countryside landscapes and castles and the beautiful historical towns of Moravia. 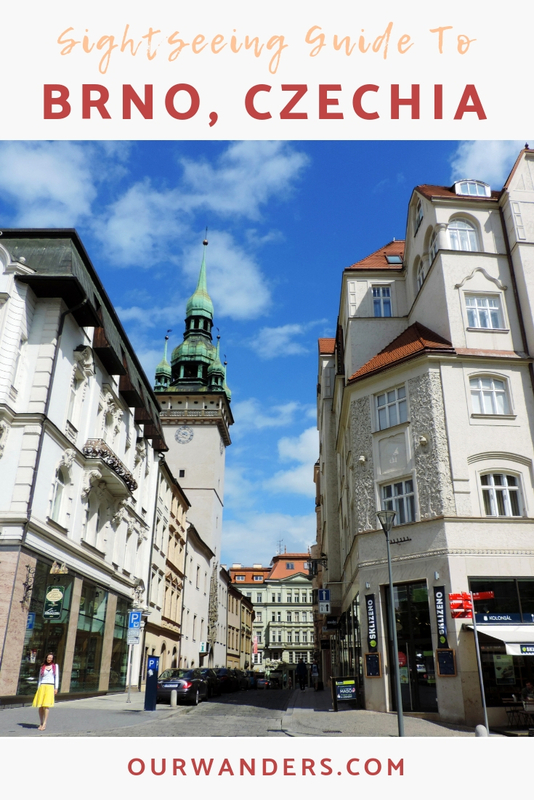 We like walking in fairy tale old towns and Brno’s historical center was love at first sight. Medieval and classical architecture, giant cathedrals, charming little streets and fountains impressed us wherever we walked. Majority of the main sights are situated in the historical centre. 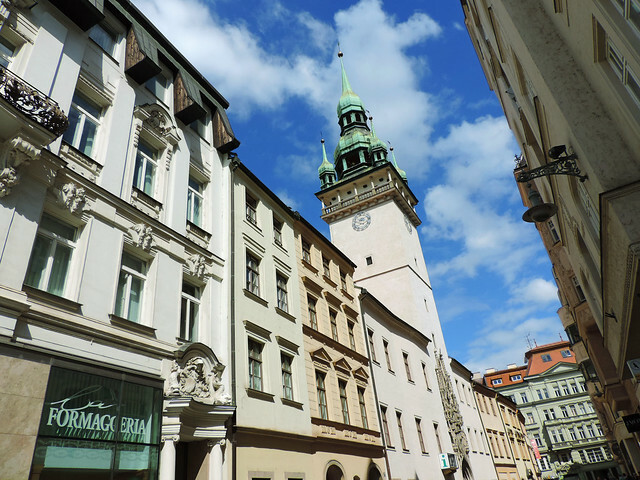 The Old Town Hall (Stara Radnice in Czech) is in the heart of Brno’s historical center and it dates back to the 13th century. 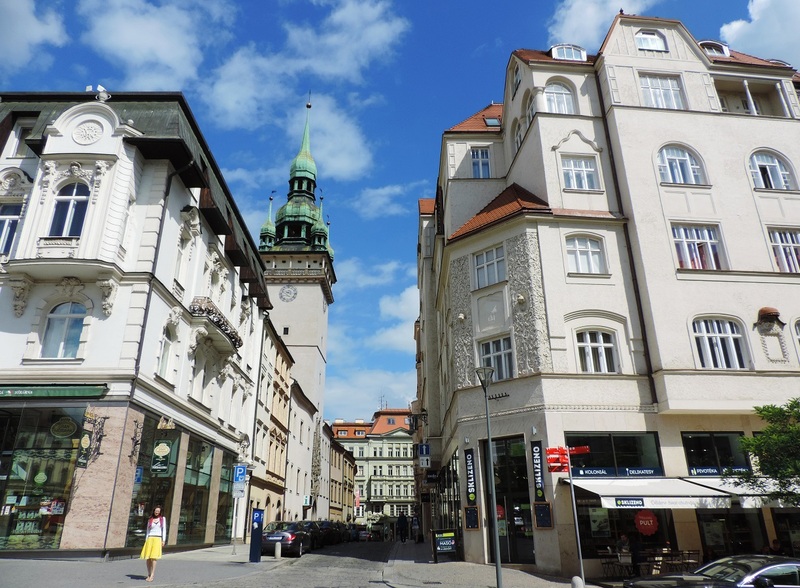 Since 1935 the authorities moved to the New Town Hall on Dominican Square (Dominikánské náměstí) so the halls of the Old Town Hall can be visited and you can also go up to the tower. On the day of our visit a music band started to play at the top of this tower at noon. Then people were clapping their hands all around the surrounding streets and we happily joined the applause. Špilberk Castle was a royal castle founded in the 13th century. Later it was used as a fortress and it became the harshest prison in the Austro-Hungarian Empire. Today it houses the Brno City Museum. It was nice walking up to it and enjoying the views of the city from above. 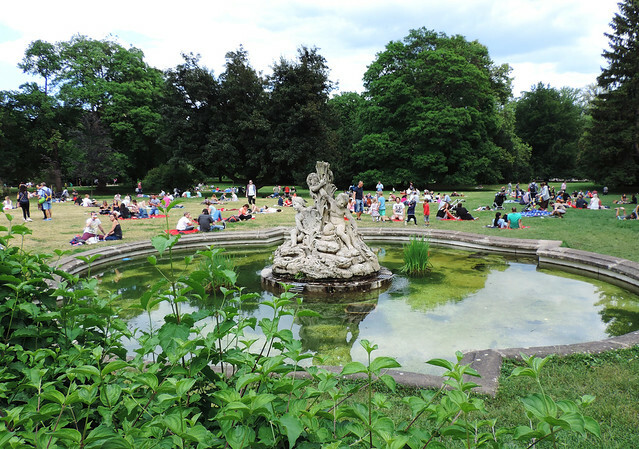 Lužánky is not only the oldest, largest park of Brno but it’s the oldest public park opened in the current Czech Republic – established in the late 18th century. 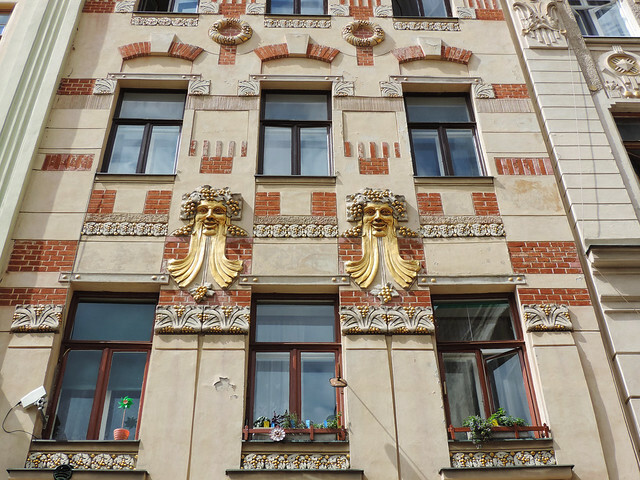 Between the World Wars there was a building boom in Brno that resulted in many modern and especially functionalist buildings. The most famous is Villa Tugendhat that’s also on the UNESCO list of World Heritage Sites. But we also bumped into some exciting pieces of art while walking around in Brno. One of them is the pink tank. 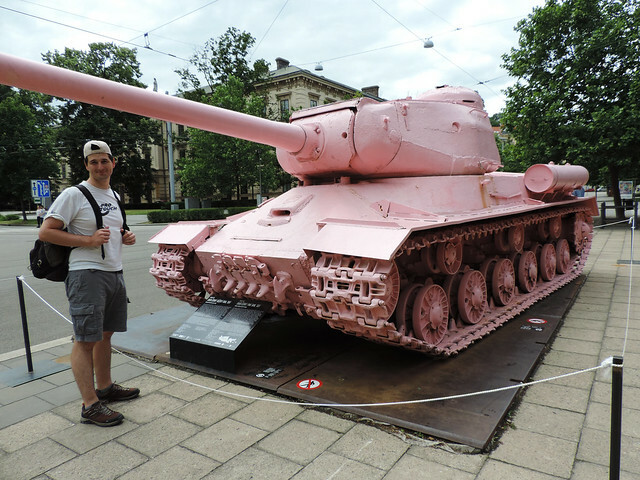 Its story in short is that in April 1991 David Černý, a Czech sculptor painted a Soviet tank – as symbol of the totalitarian regime kept in power with the help of Soviet Army tanks – pink. It’s a piece of art that definitely generated passionate discussions about art, freedom and history. 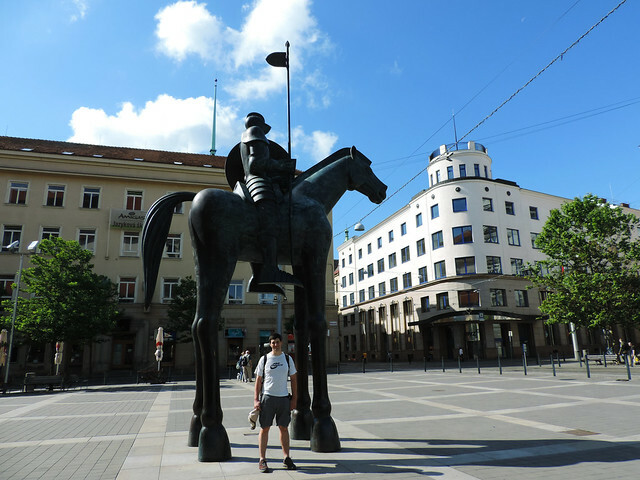 Another spectacular statue is the Statue of the Knight on Moravian Square. It’s also nicknamed as “The Giraffe” because of the disproportionately long legs of the horse. 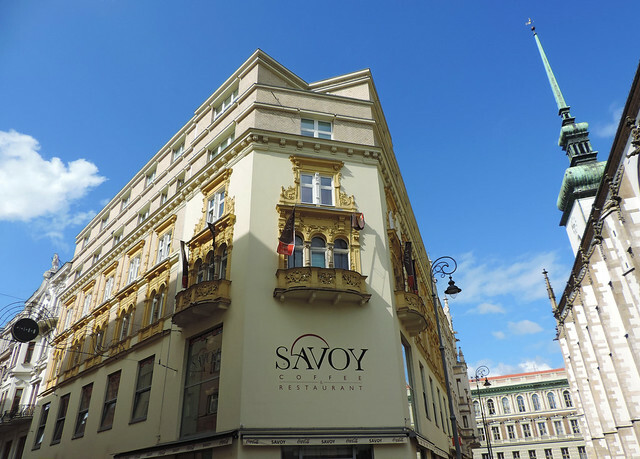 Though it provoked contradictory reactions, we felt it fits in so well and adds to the lively vibe of Brno. 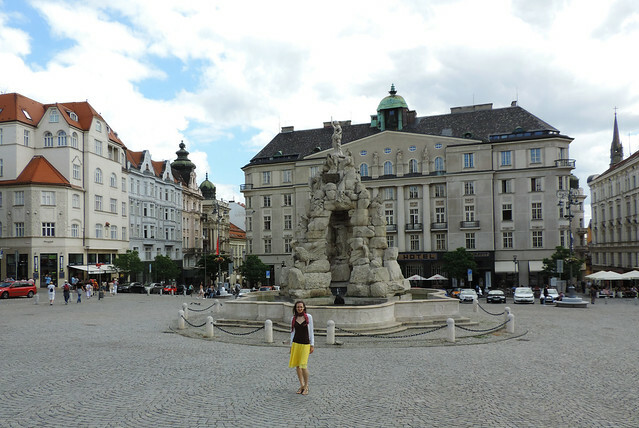 As for contradictory reactions, there’s also a statue of a phallus on the Main Square (náměstí Svobody) – or isn’t it? In fact, it isn’t. 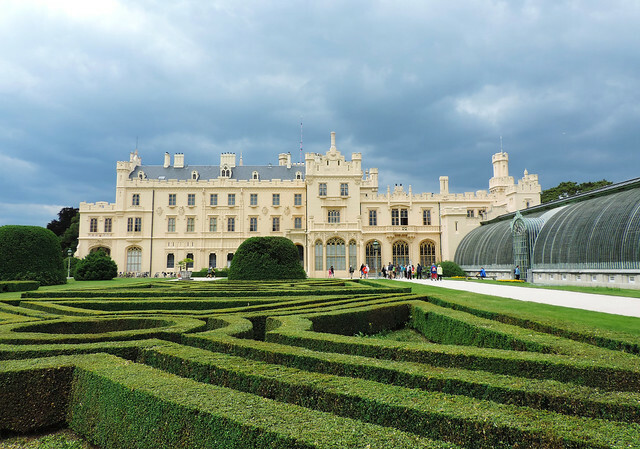 Brno is a perfect base to explore all the fabulous Moravian castles in the area – like Lednice, Valtice or Milotice Castles. Veveří, one of the oldest castles in the Czech Republic is only 30 minutes drive from the city. 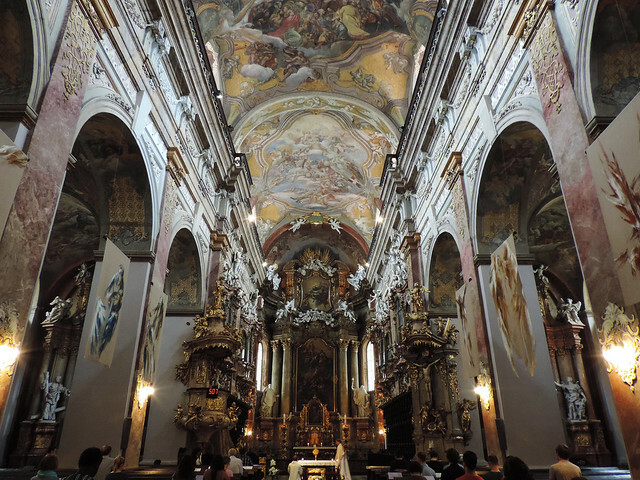 Then there’s Kroměříž, a tiny Baroque town with a huge palace that once belonged to the Archbishop of Olomouc. If you’re interested in natural beauties, too, the Moravian Karst is quite close to Brno. Giveaway: win a one-year year membership of GPSmyCity! Finally, we have a surprise: another giveaway! Partnered with GPSmyCity we are giving away 10 FREE one-year subscriptions to the GPSmyCity app. 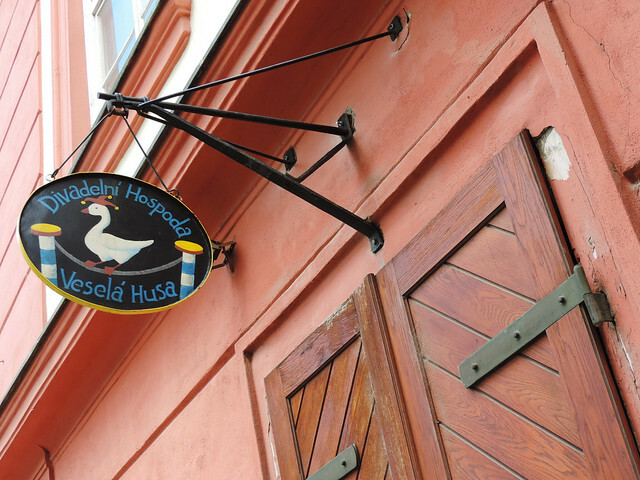 It will give you access to all self-guided walking tours and travel articles for a year. Covering more than a thousand cities worldwide, it can definitely be a great help when planning your upcoming summer holiday. Giveaway is open worldwide. Entries close on Wednesday March 21st at 6pm EST // Thursday March 22rd at 12am CET. 10 lucky winners will be randomly selected whom we will contact by email. I would love to go to New York! I’d love to stroll New Orleans.